Your Brand. Your Customers. Your Products. Your Money. We partner with Farms. We help you promote your brand, your products, and convenient, self-service ordering to your customers—all without markups. 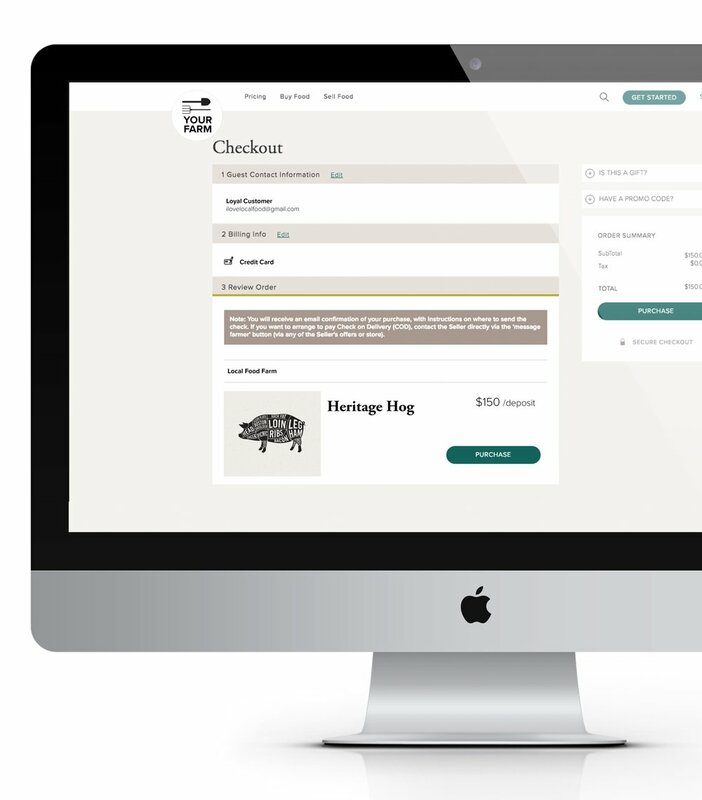 Automatically updates with every order, tracks all orders, downloadable pick and pack lists. Accept credit, debit, ACH, paper checks, cash—track bank deposits, manage refunds and easily charge for items with varied weights. Add to your schedule: pickup locations, direct delivery days and times, or "to be arranged" by customer type (wholesale or retail). We know you are busy. We set up your inventory, profile, delivery schedule, and customers. Our professional design team builds a custom website to fit your Farm’s needs and power online ordering. Your dedicated Farm Success Manager provides ongoing support and training—we make it convenient for you, and for your customers. 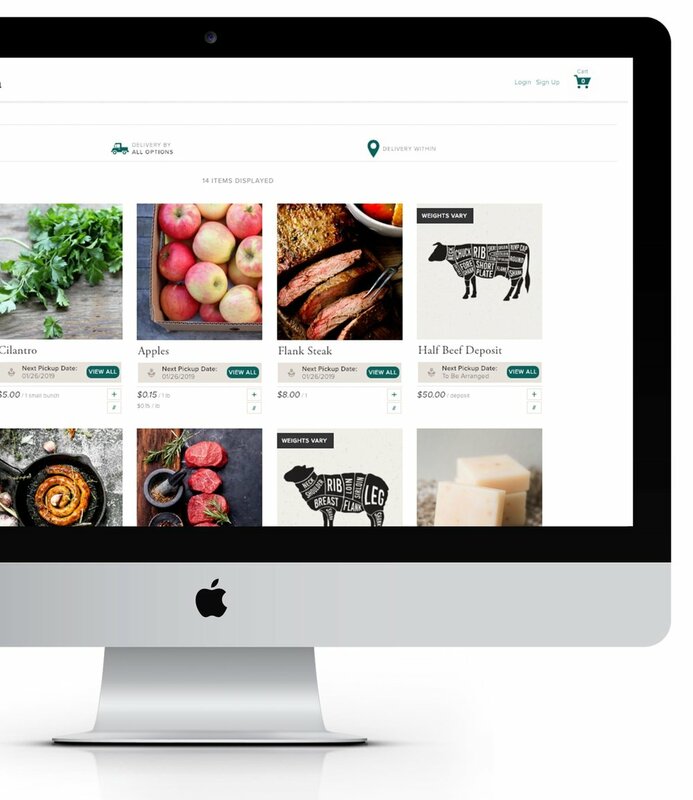 Enable your customers to browse your Farm’s real-time inventory, add items to a cart, choose a delivery option and pay on the spot! Have a question? They can message you or use our online chat for support. You keep producing quality food—leave the rest to us.